Yams Day 2017, the second annual festival in tribute to the late A$AP Yams, took place on January 18 in New York City. Yams Day was held at the theatre in Madison Square Garden. The lineup was unbelievably stacked, featuring A$AP Rocky, Lil Uzi Vert, Joey Bada$$, Kendrick Lamar, Young Thug, Tyler, The Creator, The Weeknd, and Danny Brown, among others. 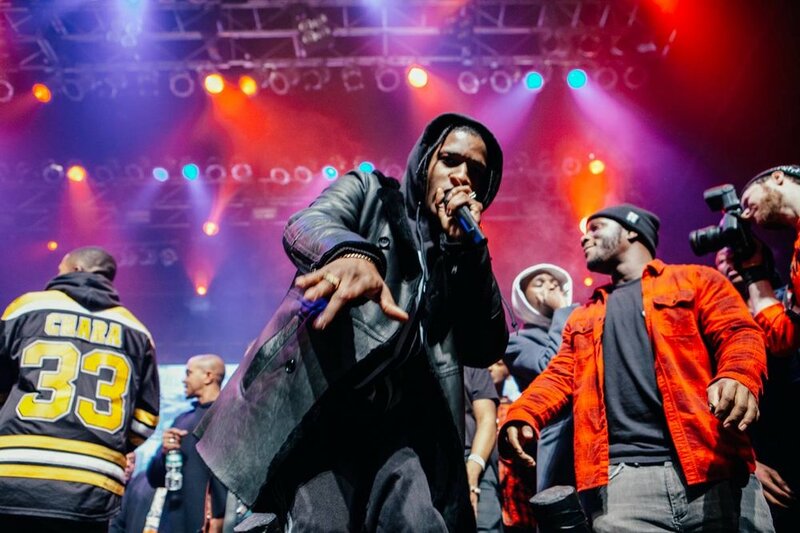 The concert was held to honor A$AP Yams’ death two years ago. Yams, born Steven Rodriguez, passed away on January 28, 2015. The first festival was held in 2016. Fans of all ages showed up to show their support and get down while paying their respects to one of the greats. Yams’ mother made an appearance, requesting of the crowd, “In Steven’s honor, please remember to Always Strive & Prosper” in a reference to the A$AP acronym origin. Yams was a founding member of A$AP Mob and a brilliant producer. His work with A$AP Mob influenced the national hip-hop scene and earned the group a large following. Tweets from the festival claim that Yams day produced some of the best performances ever from the featured artists, and the photos cause serious fear-of-missing-out. Luckily, recordings of the sets are available online. Check it out and mark your calendars for a possible 3rd annual in 2018!